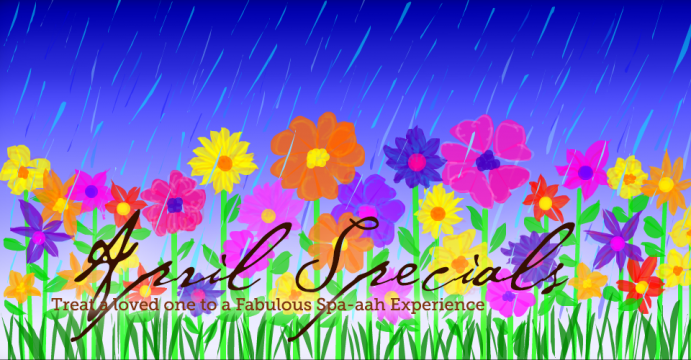 April is here, get a friend or loved one what they really want by treating them to a luxurious, relaxing and revitalizing retreat at The Highlands Day Spa in Post Falls. Gift Certificate for a 2 Hour Lavender & Cashmere Treatment. Includes a 30 Minute Cashmere Salt Scrub, a 30 Minute Lavender Moisture Mask and a 55 Minute Cashmere Full Body Massage. Steam Sauna Use and Beverage of Choice also included. Click to purchase a Lavender & Cashmere Treatment. Gift Certificate for a 75 Minute Fountain of Youth Facial. The ultimate facial using all the BEST products from Naturopathica to pack a serious punch for your skincare goals! Includes extractions and Hand Paraffin Dip. Steam Sauna Use and a glass of Wine also included. Click to purchase a Fountain of Youth Facial. Gift Certificate for a Spray Tan Package. Get a spray tan for $30. And, when you book a spray tan, get the aftercare body wash and lotion for $30 on-site! ($34 Value) Perfect for prom and Spring Break! Click to purchase a Spray Tan Package. Gift Certificate for a Classic Lash Full Set. Get beautiful lashes before vacation or prom! Take an extra step out of getting ready in the morning! Click to purchase a Classic Lash Full Set. Gift Certificate for a 2 Hour 45 Minute Sparkling Snow Package. Receive a 90 Minute Massage and a Heavenly Facial. Steam Sauna Use and a glass of Wine also included. Click to purchase a Sparkling Snow Package. Gift Certificate for a 90 Minute Santa Baby Package. Receive a Side-by-Side 55 Minute Massage with your friend or partner of choice and a 30 Minute Foot Bath and Foot Massage. Steam Sauna Use and a glasses of Wine also included. Click to purchase Santa Baby Package. ‘Last Minute Appointments’ FOR available spots. Take care of your skin with the changing of the seasons! With the changing of the seasons it’s a perfect time for a facial.